Kampala – Ugandan wildlife officials say 120kg of ivory have been seized from a farm owned by a senior military officer. Uganda Wildlife Authority spokesperson Simplicious Gessa says the farm’s manager was arrested on Monday after claiming ownership of the ivory. He says the farm’s owner, Ugandan Maj. Gen. Otema Awany, is not a suspect after he said he had nothing to do with the ivory. Jossy Muhangi, another wildlife official, says “it has been a real challenge to get the real sources” of illegal ivory. He says clearing agents and transport officers arrested with illegal ivory often accept responsibility or deny knowledge of the source. 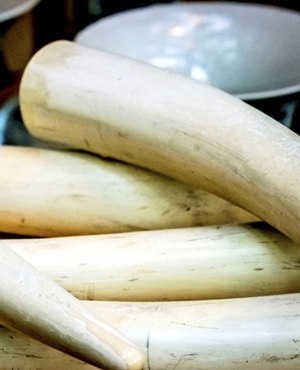 A meeting this week in Geneva of the global conservation treaty CITES heard that ivory stockpiled in Burundi is allegedly leaving Africa via Uganda.